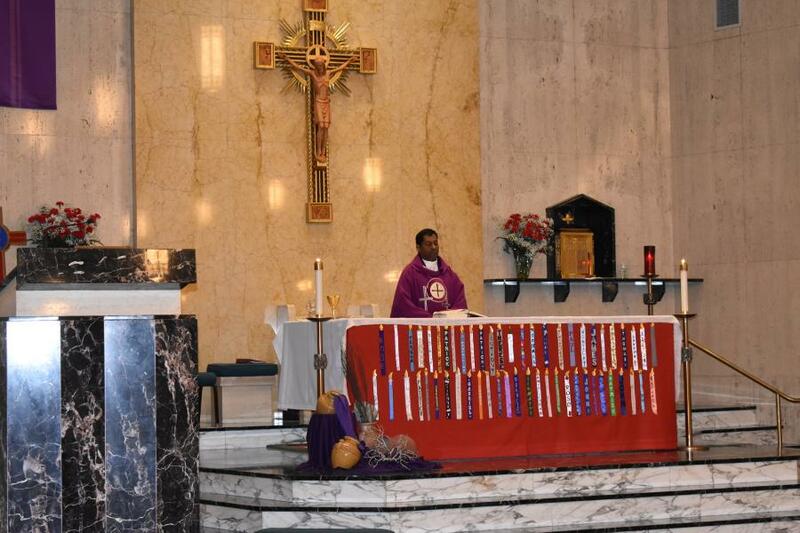 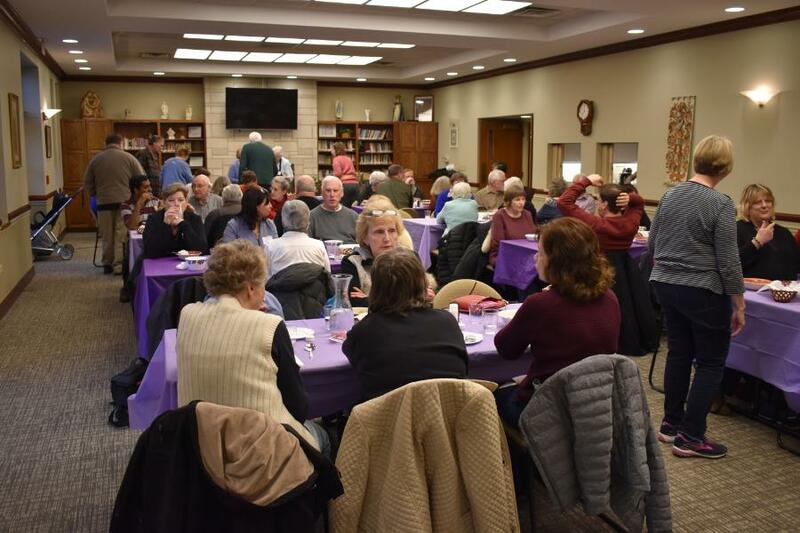 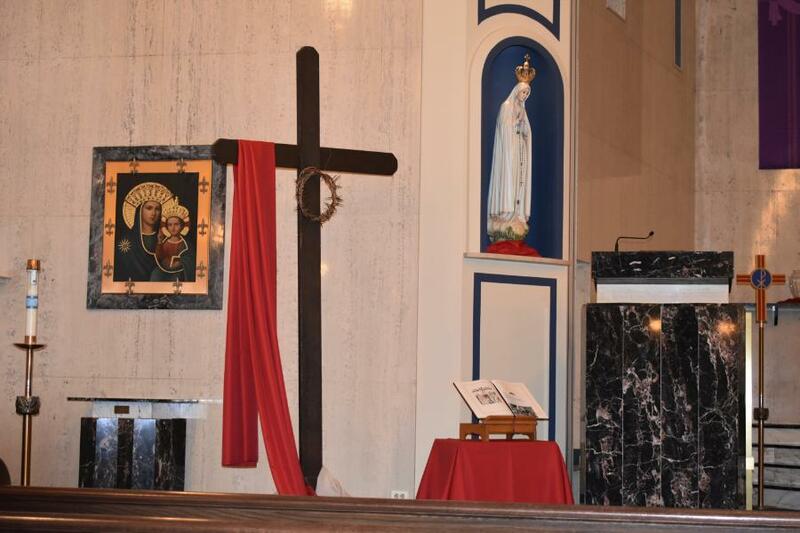 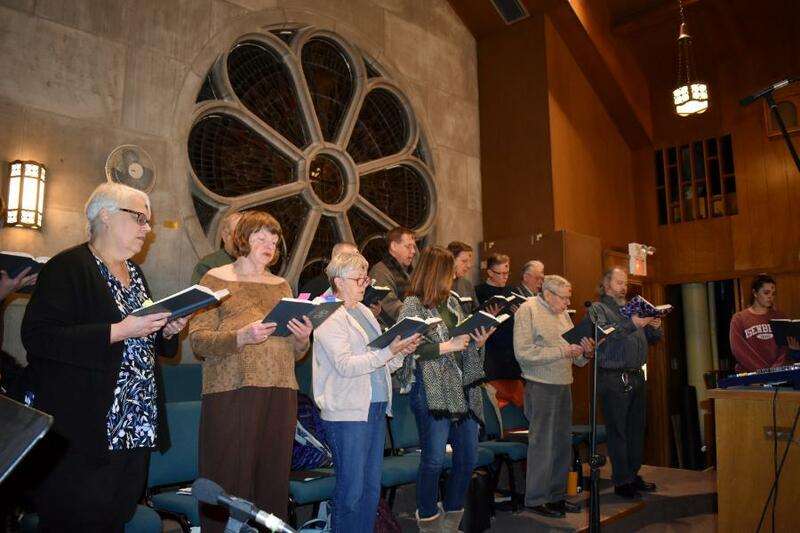 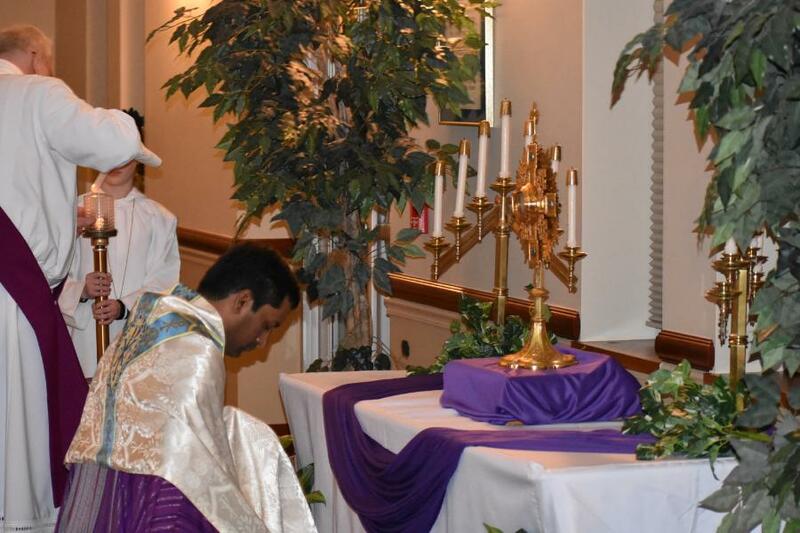 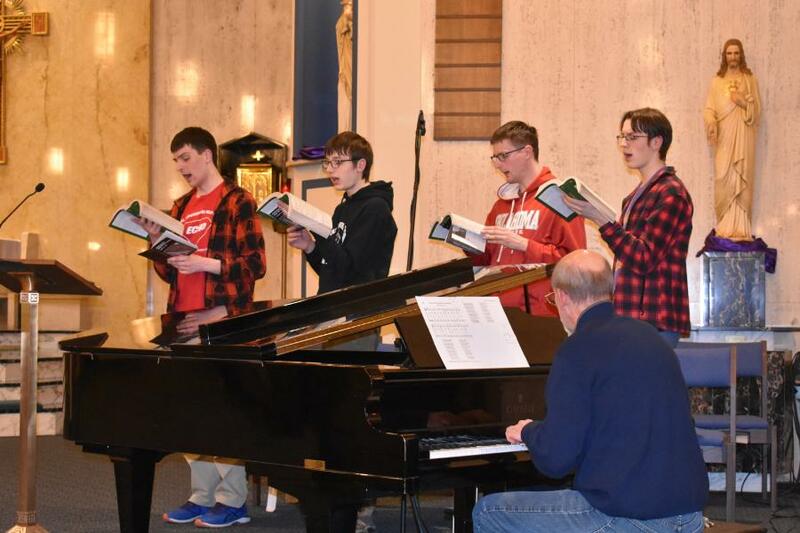 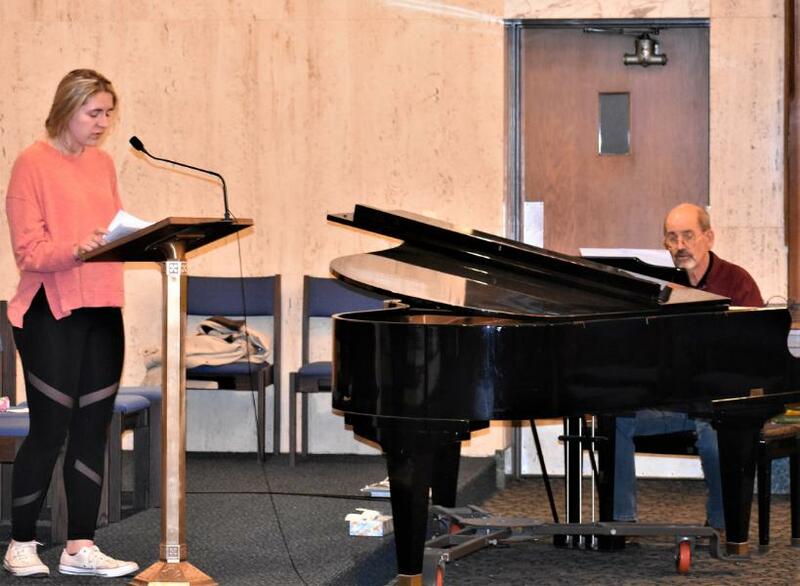 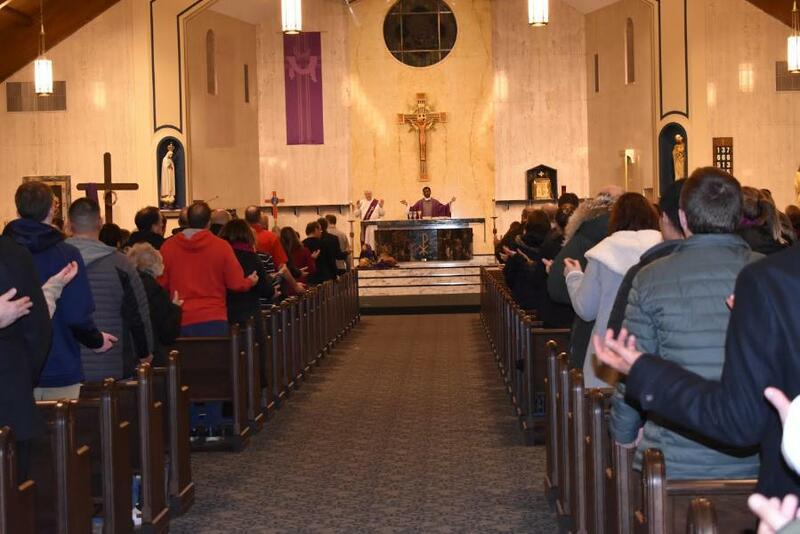 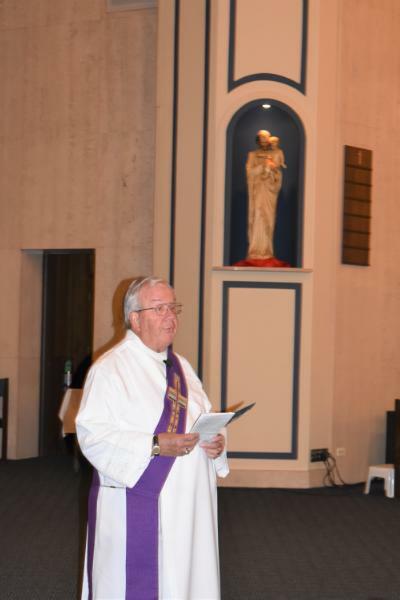 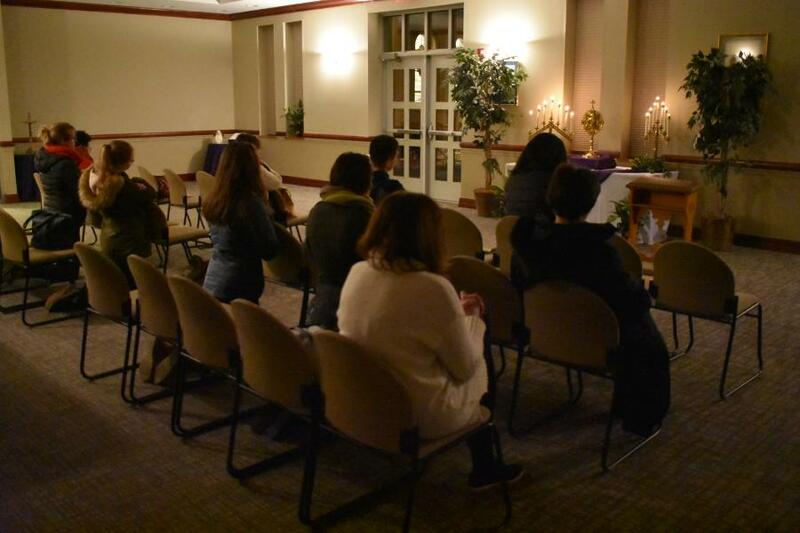 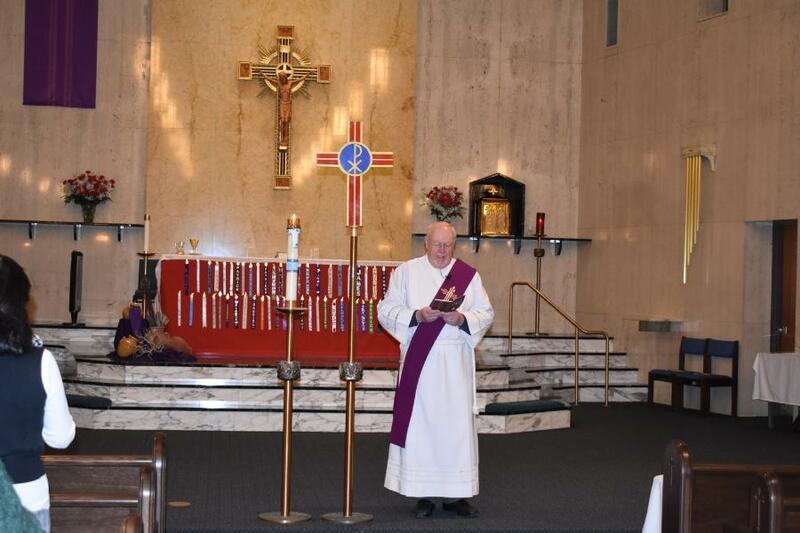 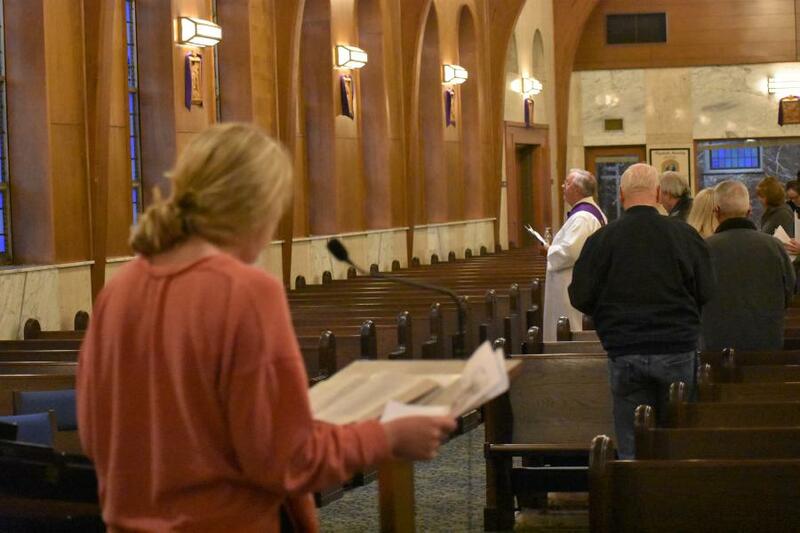 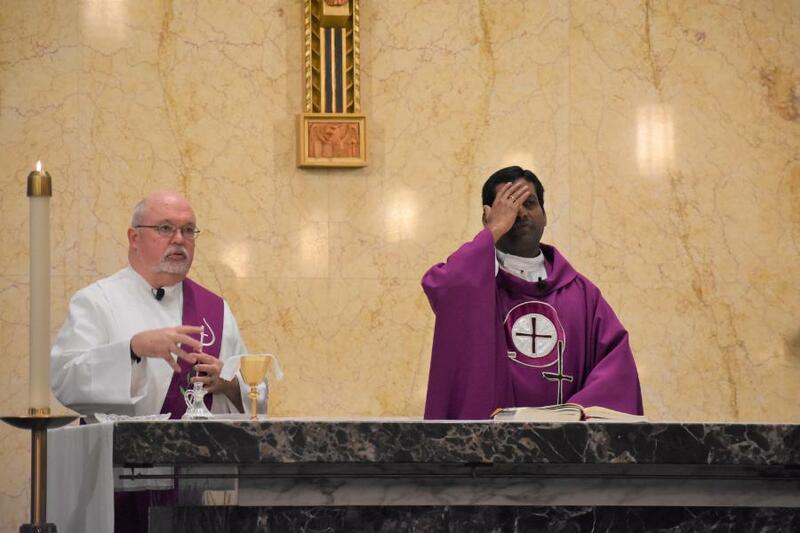 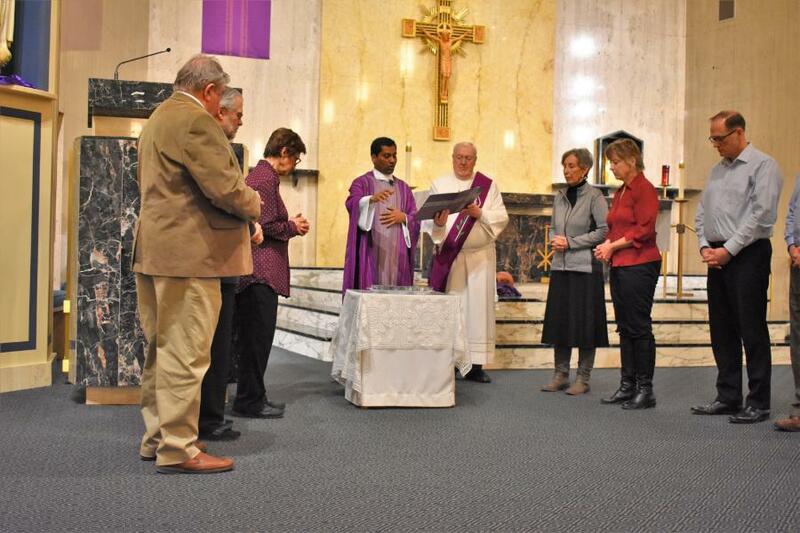 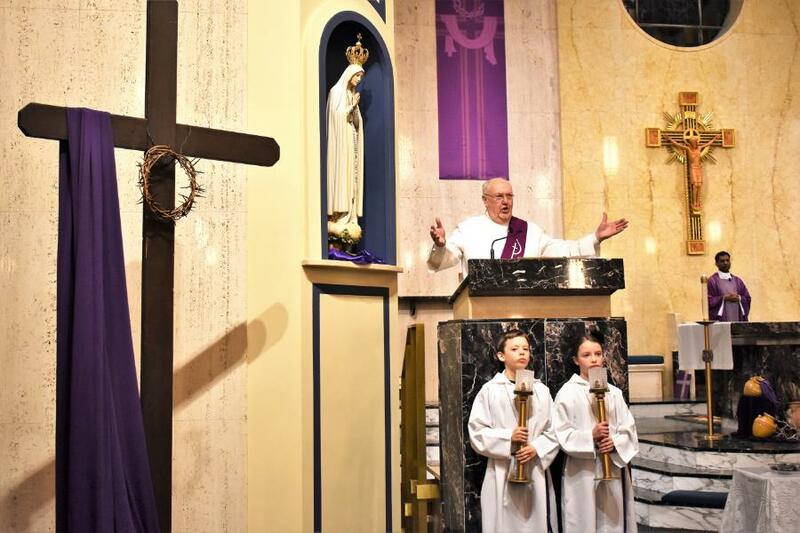 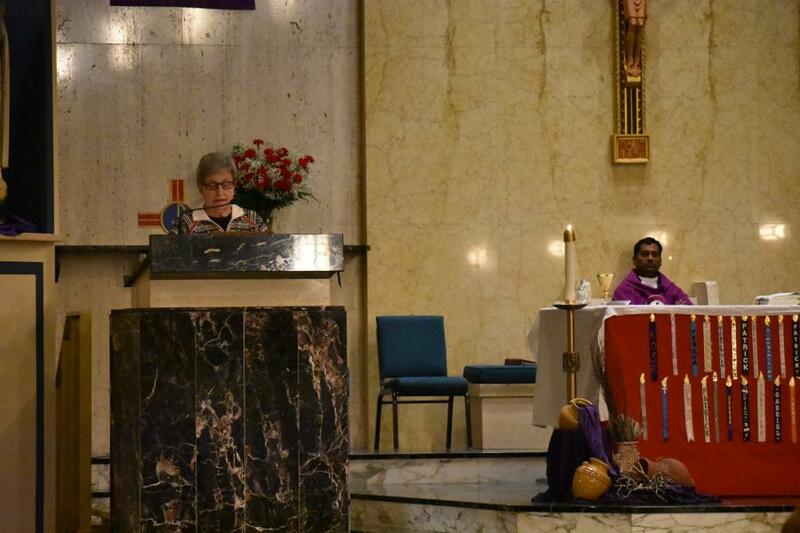 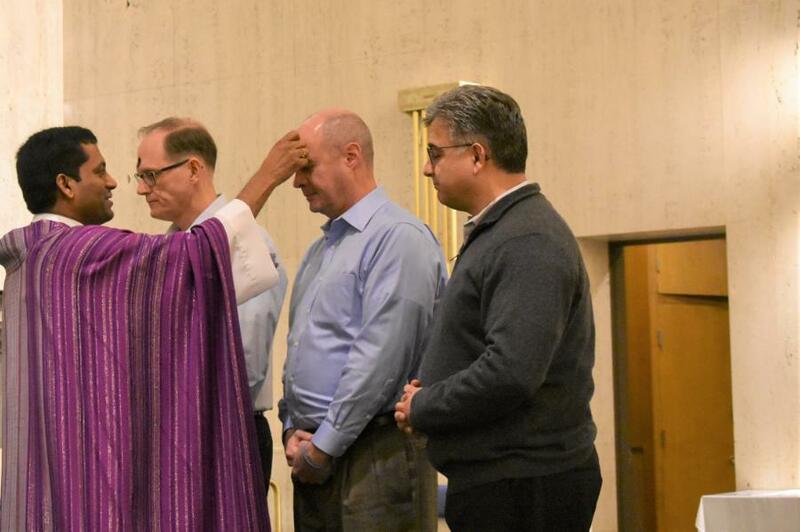 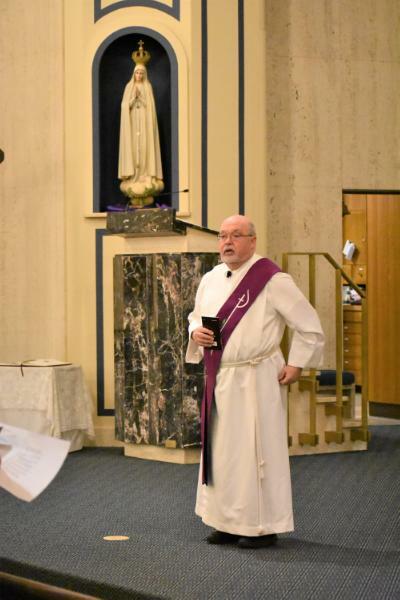 Photos from three events held during the first 3 days of Lent 2019 are in this gallery. 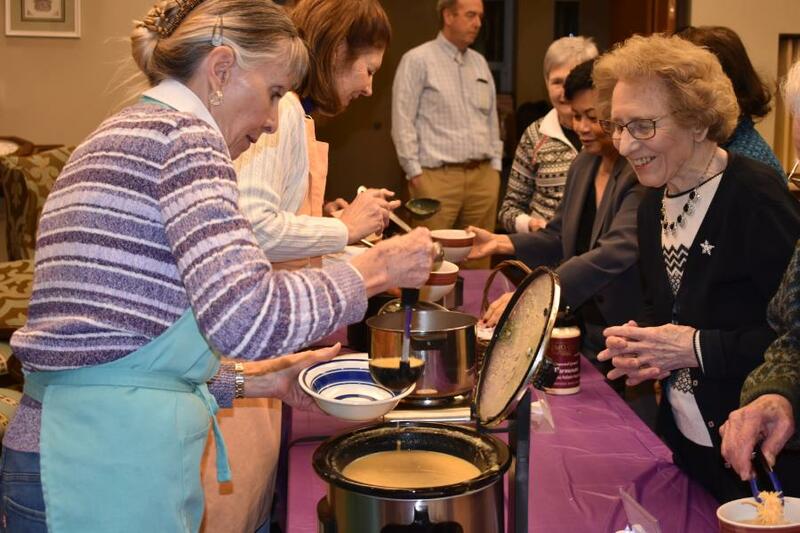 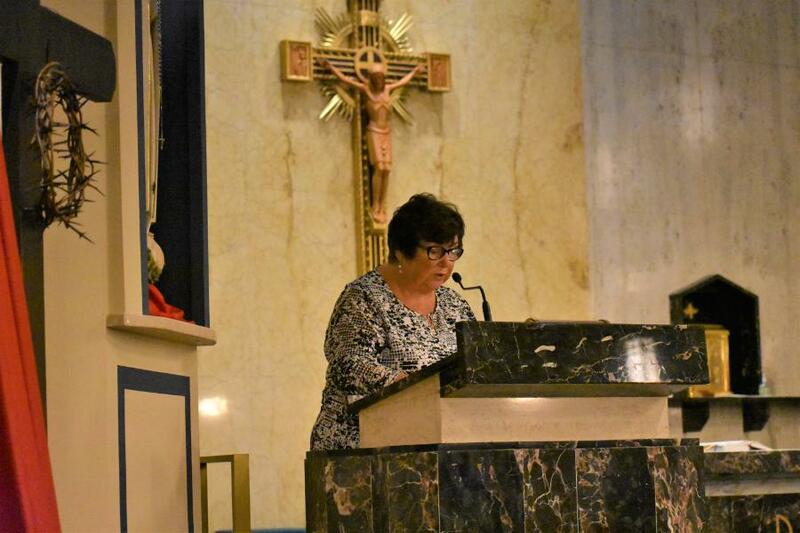 More photos have been added from subsequent weeks’ Soup/Stations/Mass. 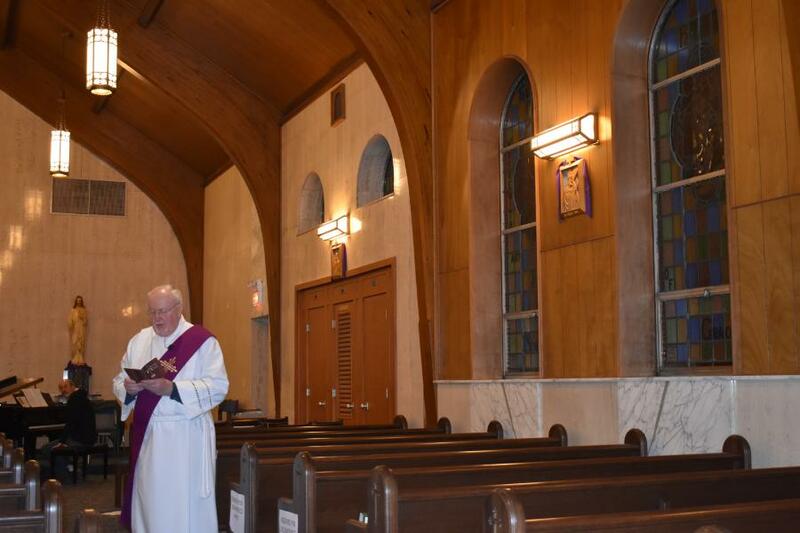 The photos are in chronological sequence, beginning with the oldest and ending with the most recent. 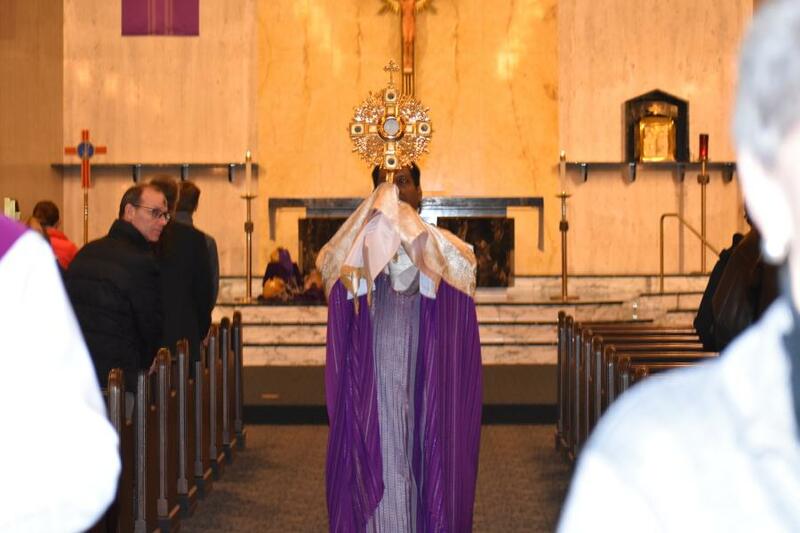 Lent began with Ash Wednesday on March 6 in church followed by Benediction and Adoration of the Blessed Sacrament. 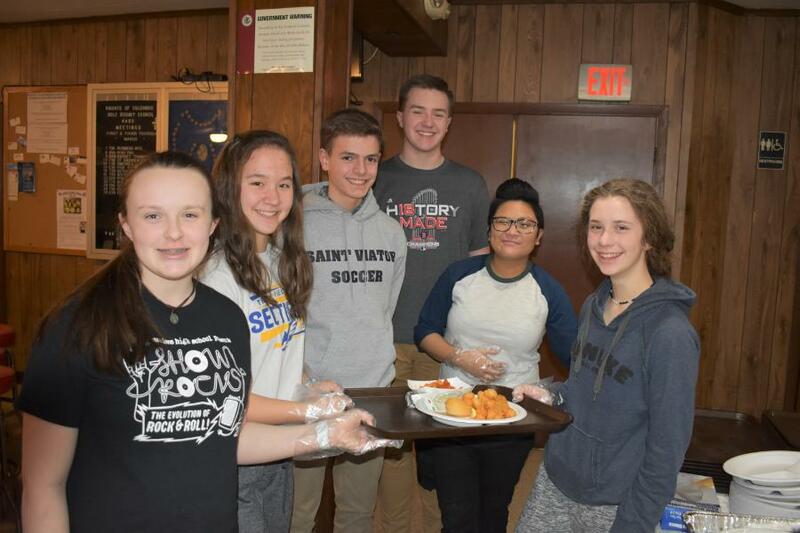 On Friday, March 8, OLW Teens helped serve at the Knights of Columbus Fish Fry. 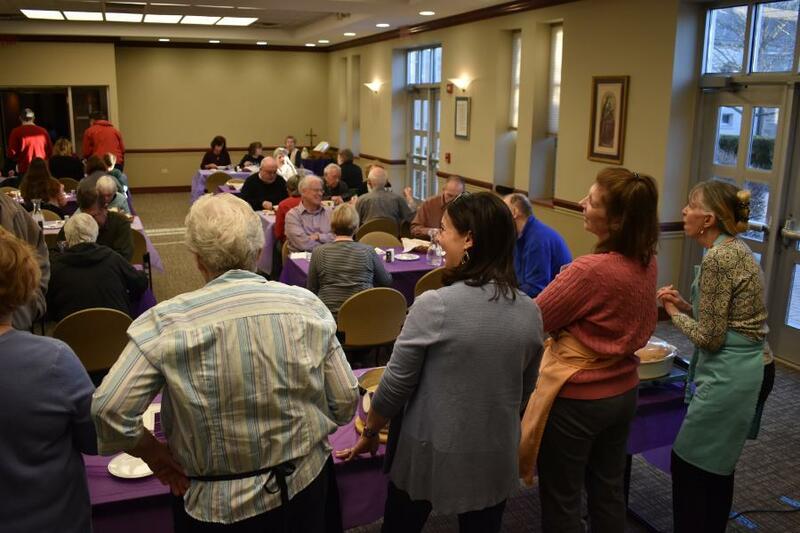 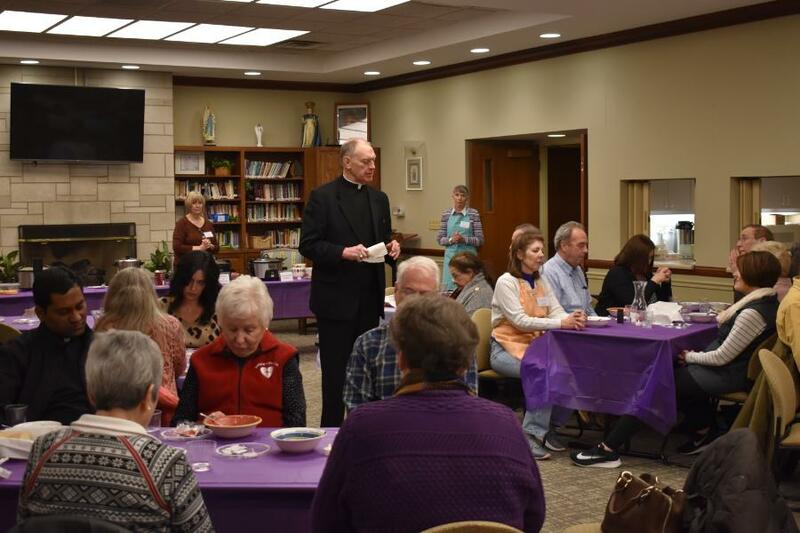 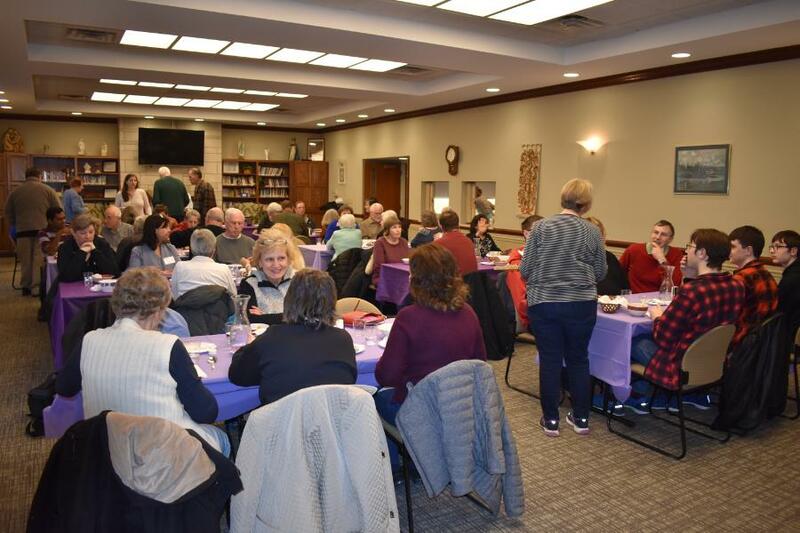 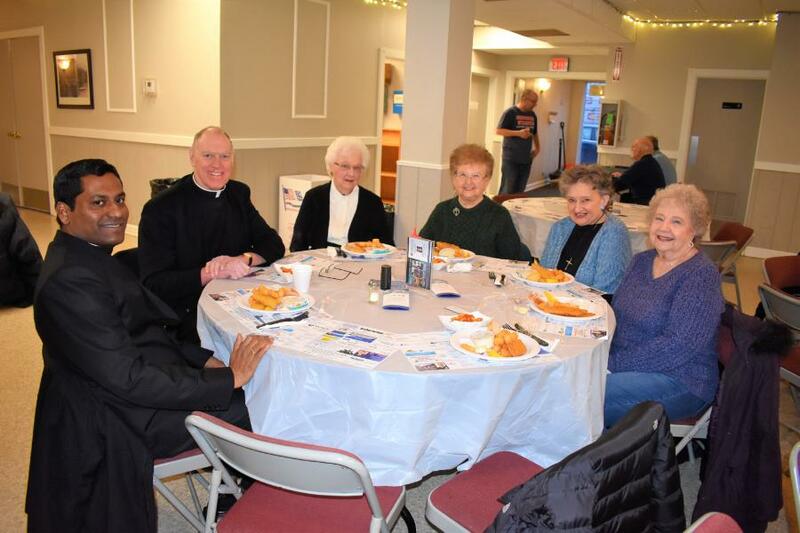 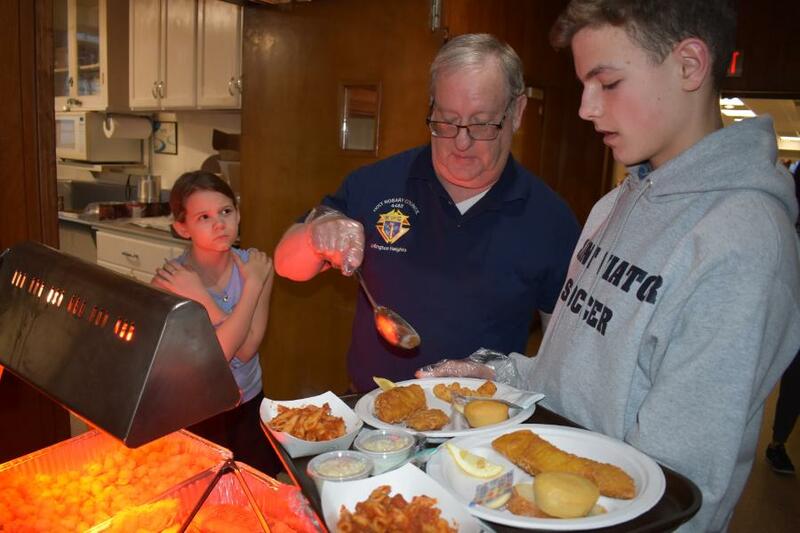 The K of C Fish Fry is held each Friday of Lent at 15 N. Hickory from 5:30 to 7:30 p.m.
Also on Friday, March 8, OLW began Soup and Stations. 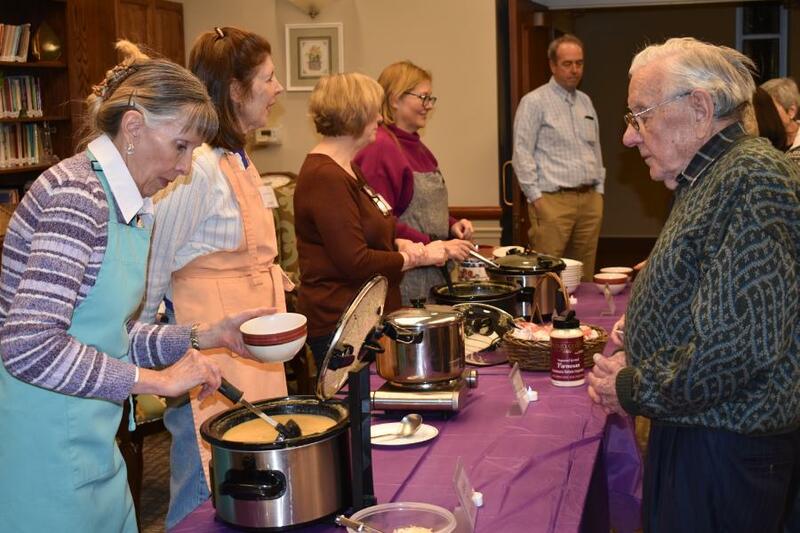 Each Friday in Lent, soup and bread are served in the Gathering Space at 6:30 p.m. Stations of the Cross follow in church at 7:30 p.m. 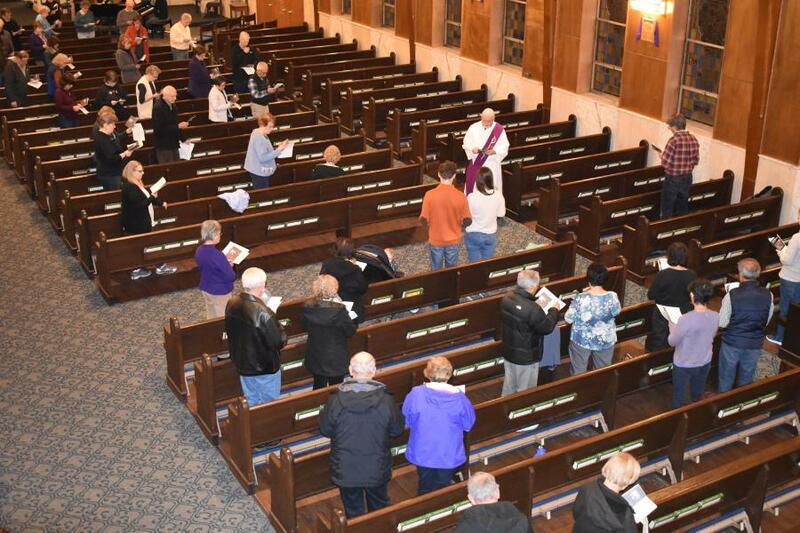 The evening ends with Mass at 8:00 p.m. in church. 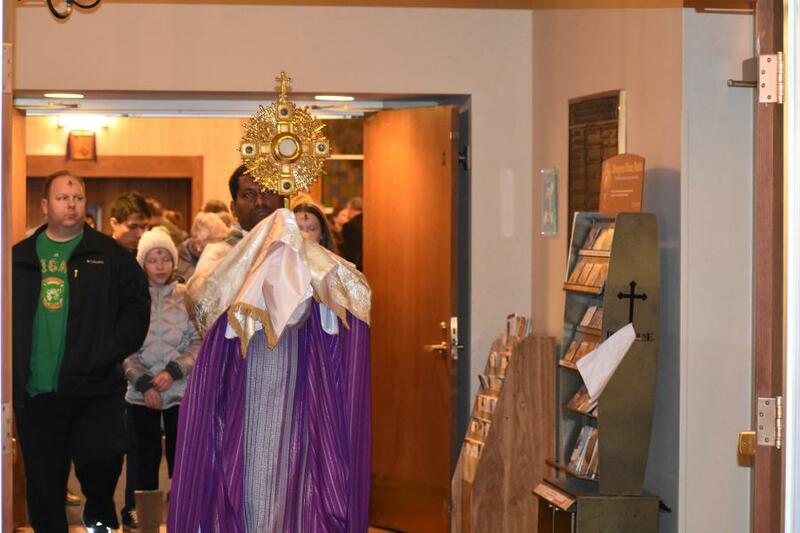 Photos from several weeks are in this gallery.